Фотобанк РОСФОТО - микросток. Лицензионные Фото, Видео, Музыка - Comic book page with retro women talking. Comic book page with retro women talking. XL 5154 x 3542px 15 Mb. Comic book page with retro women talking. 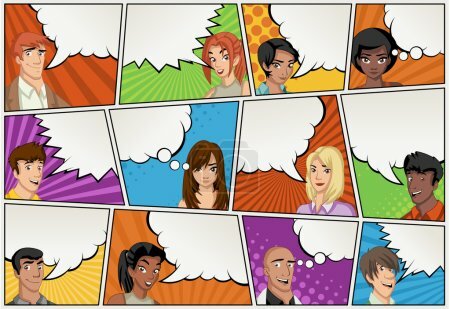 Comic strip background with speech bubbles. Vintage art.